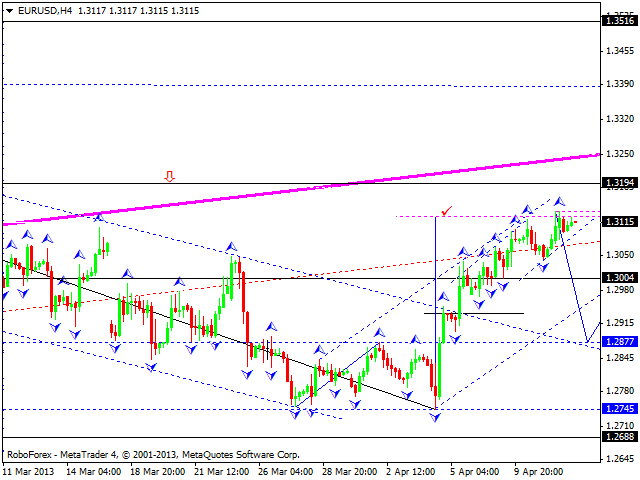 The EUR/USD currency pair is still forming an ascending wave, but it is becoming weaker. However, the market is unlikely to continue moving upwards without forming any correctional structures. We think, today the price may fall down towards the level of 1.2880 and only after that start another ascending movement to reach the current maximums. 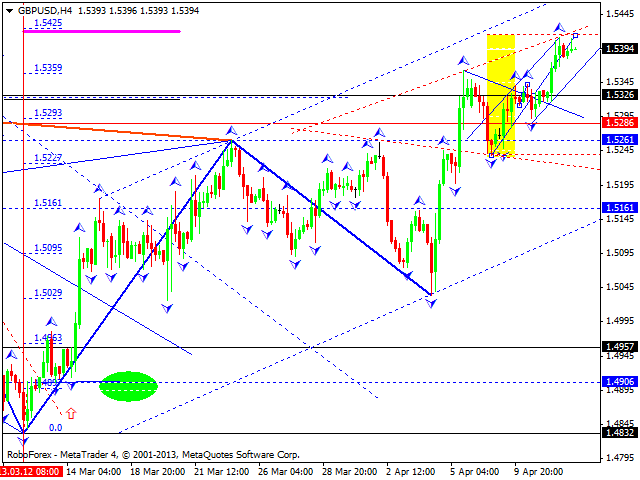 Later, in our opinion, the pair may start moving downwards again to reach the target at 1.2700. 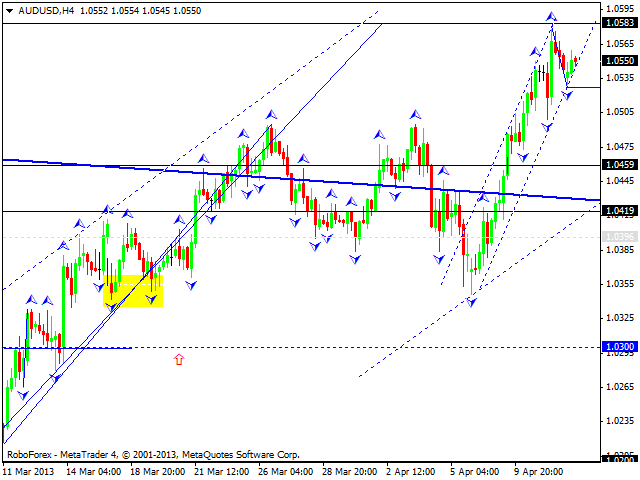 The GBP/USD currency pair is moving the third ascending wave. At the moment the market is forming a continuation pattern; right now the pair is inside its central part. We think, today the price may reach a new maximum and then move downwards inside a new correction with the target either at 1.5325 (minimum) or 1.5160 (maximum). Later, in our opinion, the pair may continue growing up towards a predicted target at 1.550. The USD/CHF currency pair is still forming the third descending wave; right now the market is forming a continuation pattern, its central part. We think, today the price may reach a new minimum and then make a reverse for a new correction. 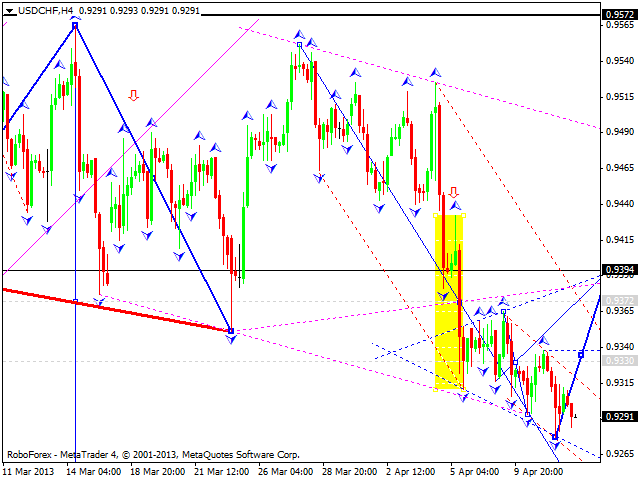 The target of the correction is either at 0.9330 or 0.9400. Later, in our opinion, the pair may continue falling down towards the target at 0.9220. 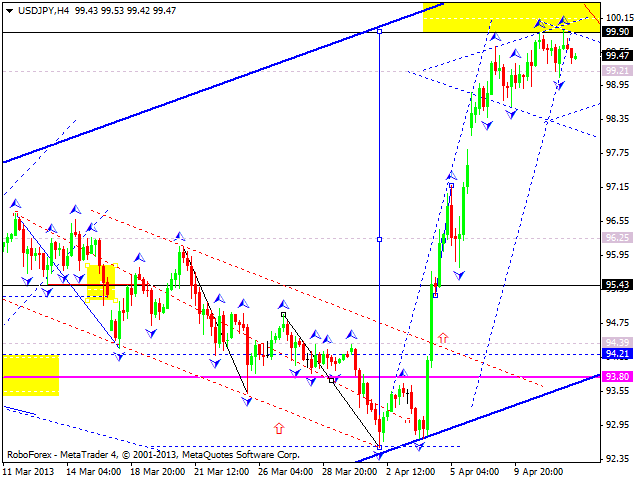 The USD/JPY currency pair reached the target at 99.90 and right now may start falling down. We think, today the price may renew its maximums and then start looking for a good spot to form a pivot point. Australian Dollar is trying to form descending impulses; however, the current wave is not strong enough. We think, today the price may renew its maximums once again and then form a new descending structure. Later, in our opinion, the pair may continue falling down to test the lower border of diamond technical pattern. Gold is starting new ascending impulses. 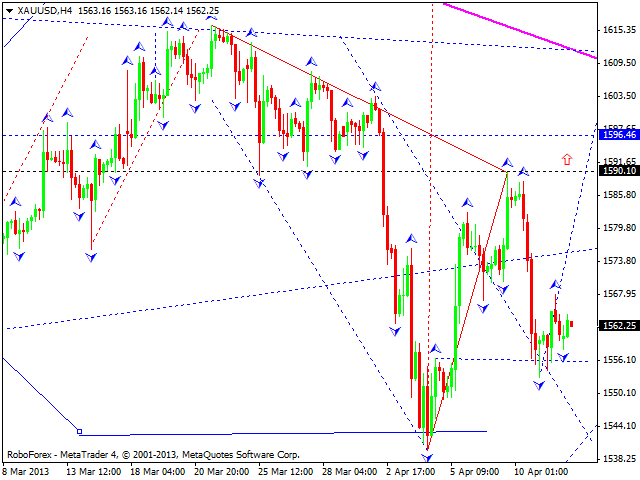 We think, today the price may form another wave with the target at the level of 1590. Later, in our opinion, the instrument may consolidate there for a while and then form a continuation pattern with the target at 1640.